Summer is finally here! As you prep for beach and barbecue season, it can be tempting to let your job search slide. Everyone else is on vacation, so why shouldn’t you be? 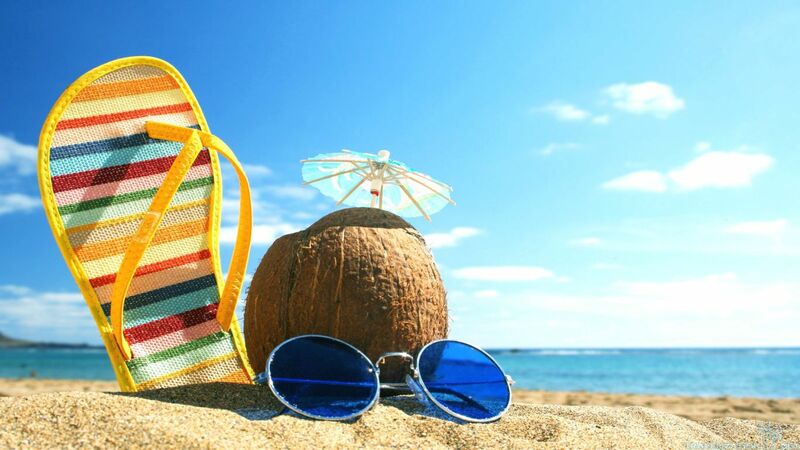 But here are 4 reasons that summer is actually a great time for your job search. 1. You can take advantage of downtime. Summer tends to be a slower time in the workplace overall, so people have more time to do things they may not otherwise be able to fit in – like meet with you! Networking is the foundation of your job search, so double down on your efforts and talk to as many people as you can. Set goals for yourself and track your progress to keep your motivation and accountability high. Been meeting with 1 person a week? Try to make it 2 or 3. Feeling stuck about who to reach out to? Try mapping your network and you’ll come up with some new leads. 2. You have a calendar full of events. Happy hours! Weddings! Cookouts! Every event you attend, even casual get togethers of friends, is a chance to meet new people and tell them about your search. You never know who might be able to help you, so don’t be shy about telling everyone you meet about what you’re looking for. In addition to social events, you can find more targeted networking events in your city through professional associations and sites like Meetup, Eventbrite, and your local Chamber of Commerce. If you’re having trouble getting motivated, tell yourself that you only have to go for 30 minutes and talk to one person, and you’ll probably find that you end up staying longer. Make sure to follow up with anyone you make a meaningful connection with to set up a longer conversation. 3. It’s the perfect time to get your foot in the door. While your summer intern days may be behind you, doing project work is a great way to “try out” an organization while building your experience, credibility, and reputation. This is especially true in the summer, when organizations bring on short-term help and will have more time to show you the ropes. Not sure how to find projects? As you’re networking, mention that you are open to project work and ask your connections if there are any ways you could be helpful at their companies. Once you’ve identified a problem you could solve for an organization, pitch them a short-term project idea. Especially if you’re open to working for free or low-cost to begin with, there’s a good chance they’ll say yes. It’s a win for them and for you, since you’ll build valuable experience and connections that may lead to a full-time job and you’ll gain references and experience that you can talk about in your search. Pro-tip: make sure you clearly define the scope and length of the project before diving in, and ensure you will have enough time to keep your other search activities going on the side. 4. You’re building a foundation for the fall. September will be here before you know it, and with “back to school” comes “back to hiring.” You want to be ready for that wave, and the best way to do that is by preparing now. This means making sure your resume, cover letter, and LinkedIn profile are as strong as they can possibly be and ensuring that you are top of mind with the organizations you’re most interested in (see #1 above). Even if they aren’t hiring now, continuing to network will ensure that you are the first person they think about when they are ready to move forward. To sum up, don’t use the fact that hiring is a bit slower during the summer as an excuse to slack off on your search. Put your energy in the right places and you’ll make the most out of this time while still having plenty of summer fun on the side. Want to take advantage of the summer months to get a head start on your search? Contact me to learn more about my summer workshops and Job Search Bootcamp program coming this August!